When was the last time you heard a feel-good album? In this, I mean an album that you thoroughly enjoyed from beginning to end. Each song evoking a euphoric feeling of glee and jubilation, if you will. If you would like an injection of such pleasure, you should definitely press play on DJ Kemit’s Everlasting. 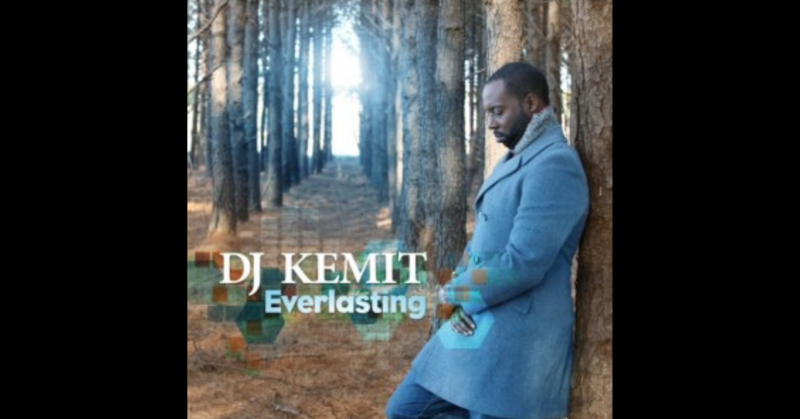 For a time, DJ Kemit was opening on the road for the Grammy© Award-winning group Arrested Development. As a production manager and also known as a noted producer (hear Anthony David’s “4Evermore”), it is no secret that DJ Kemit’s musical tastes range from A-Z. Everlasting is an album that is hell-bent on grabbing you by your collar to let you know that it has exactly what you need. A perfect mix for the perfect liquid beverage concocted with a note from every palette – A little bit of funk, a dash of soul, a touch of hip hop and rock, with a great big helping of a straight up dirty house. The opening track “You Don’t Know” featuring Lady Alma, is an aggressive beat-smacking track that is guaranteed to have you literally dislocating your neck. The old school dance throwback comes courtesy of “Transform” featuring Osunlade; the song is simply a soul clap away. Eric Roberson’s personality definitely illuminates on “Fortune Teller.” You can somehow envision Eric in the booth having a ball and it comes through in song. But the gem that shines through on Everlasting, has to be “Inside Out” featuring Terrance Downs. The lyrics are absolutely true to form, Terrance’s vocals are clear and undeniable, while the instrumental breaks are sublime. One moment it’s a house track infused with jazz undertones, and another minute, it’s back to a relentless drum kick that you just can’t help but succumb to. The whole album is absolutely exceptional. It is like a well-crafted puzzle, different genres and pieces all moulded into one to form a unique picture. All the guests on the album make a home for themselves: Jean Baylor, Frank McComb and Choklate to name a few. For house heads and music lovers across the board, this is one you simply cannot pass up on. Nicolay With The Hot At Nights @ Trane Studio!